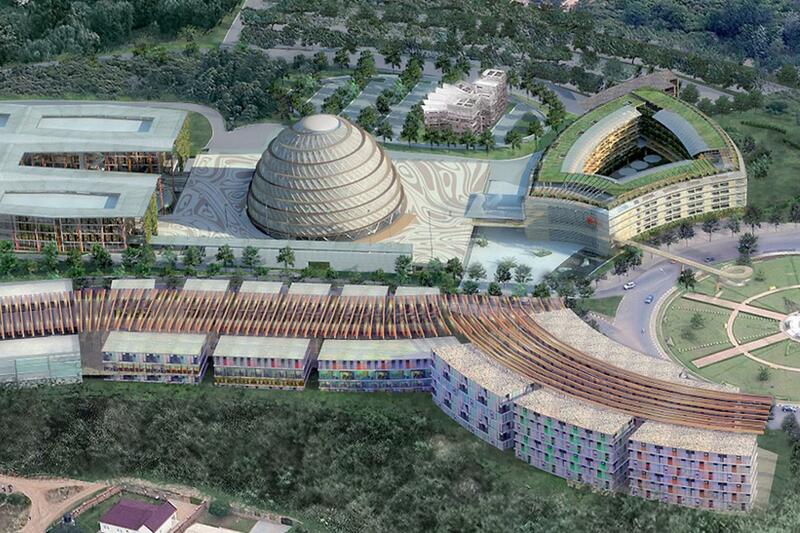 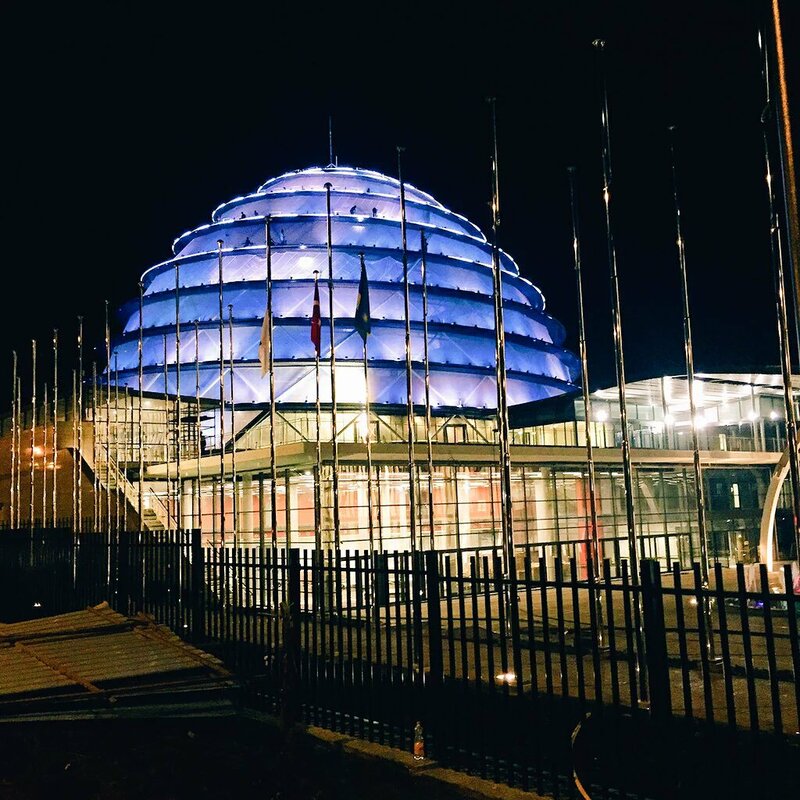 In the Rwandan Capital city of Kigali, sits the Kigali Convention center. 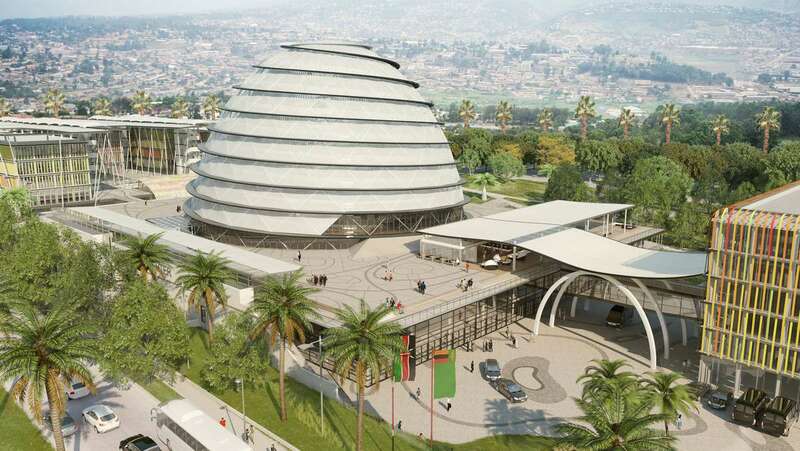 It is a pilot project that is part of the East African nation’s long term plan to become Africa’s premier service nation. 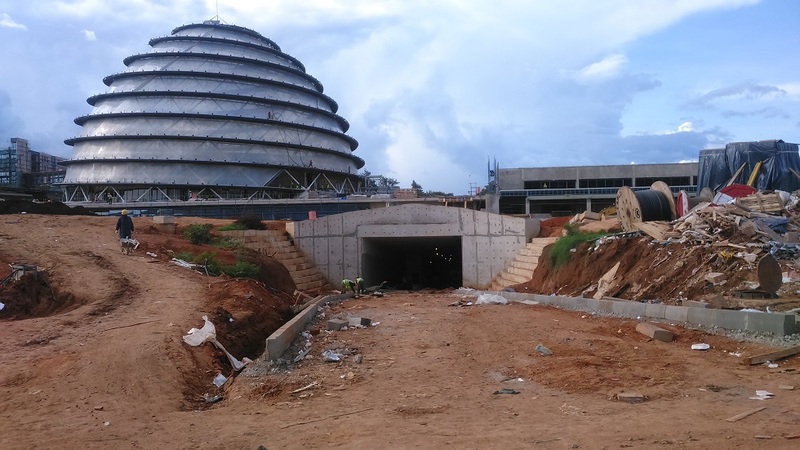 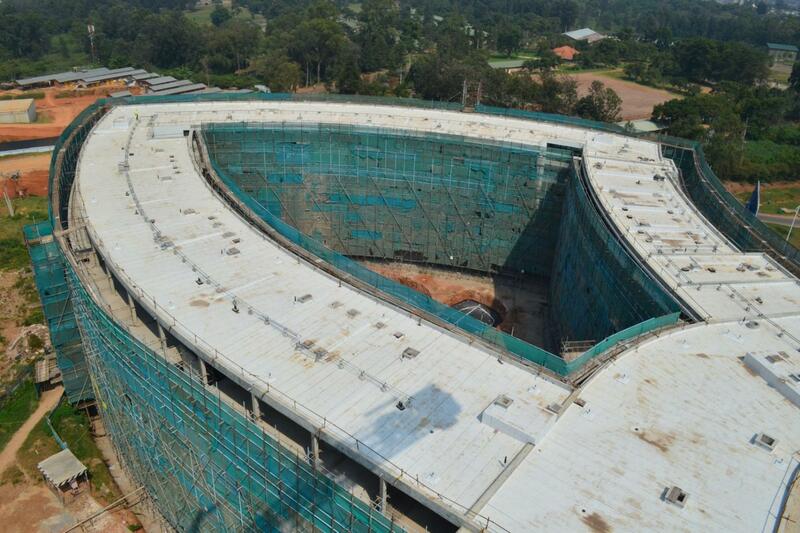 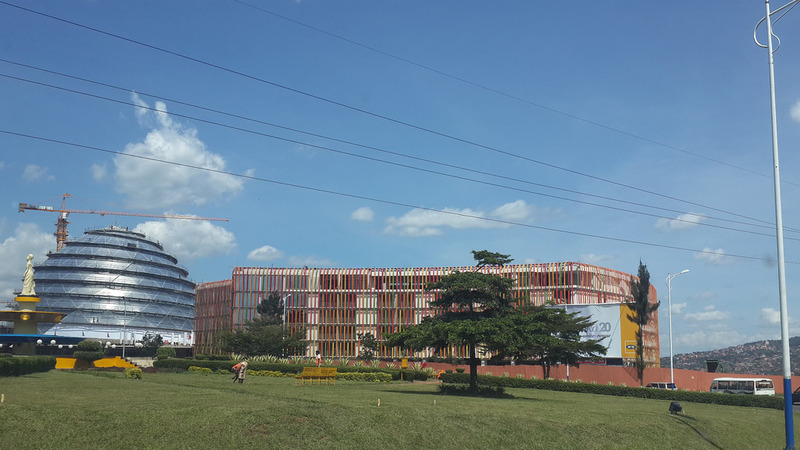 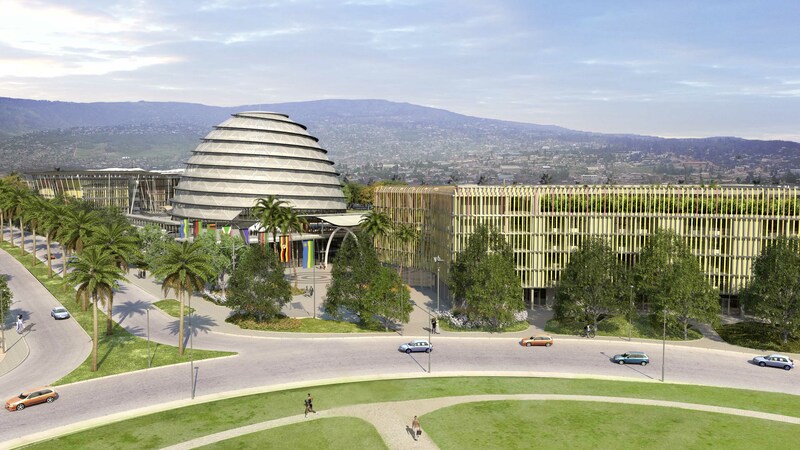 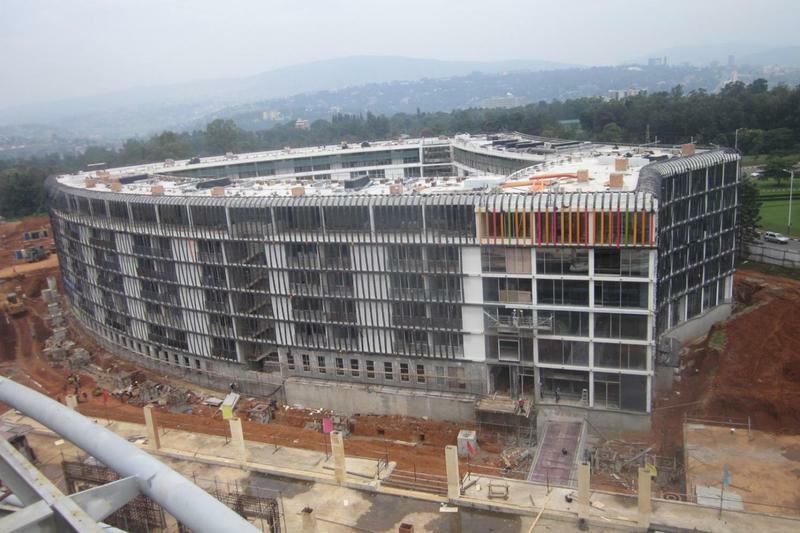 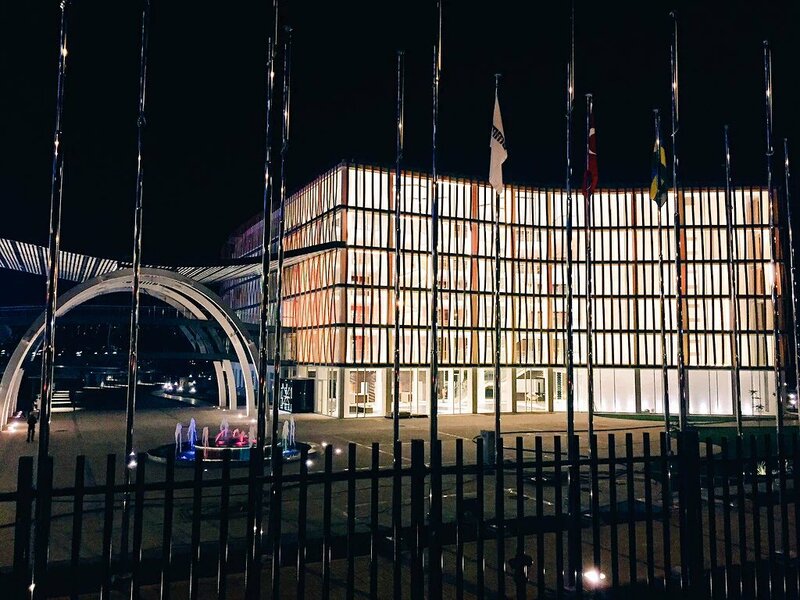 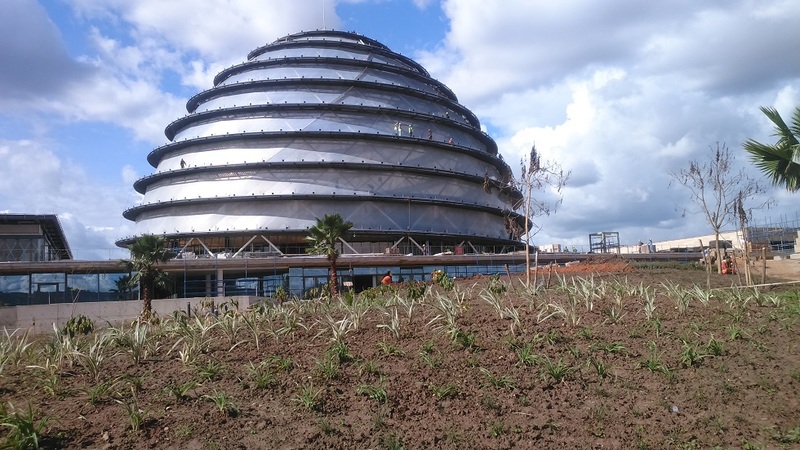 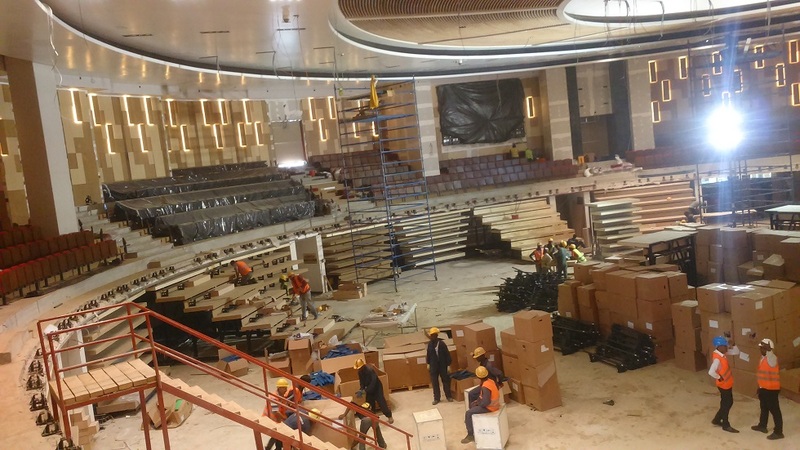 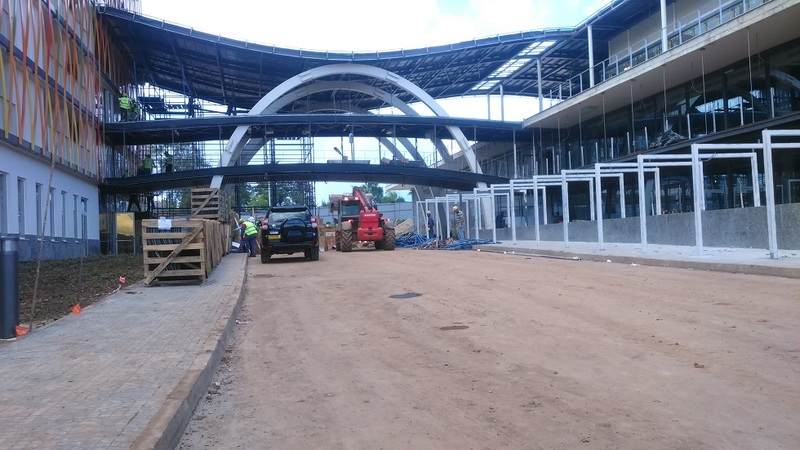 Designed by German Architects, Spatial Solutions, the 28,000 sqm Convention center is at the heart of a larger convention complex, planned to be a center of knowledge and economy in the Rwandan capital. 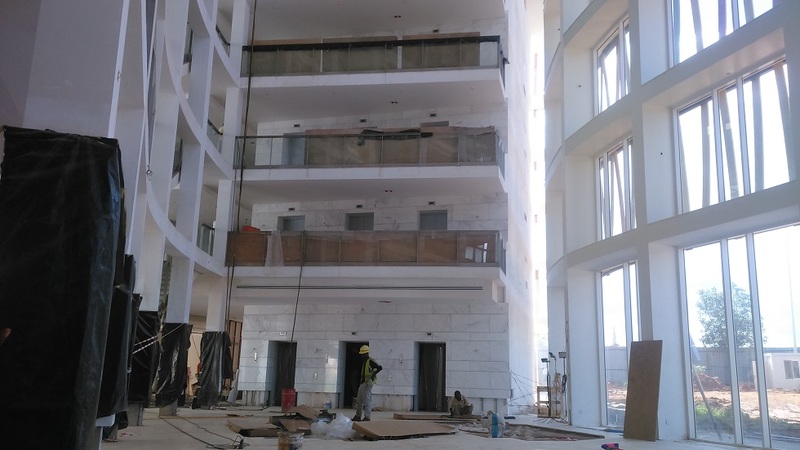 Completed in November 2015 by Turkish Construction Company, Summa, this first phase comprises the center convention center, an adjoining 5 star hotel, office buildings and a state museum. 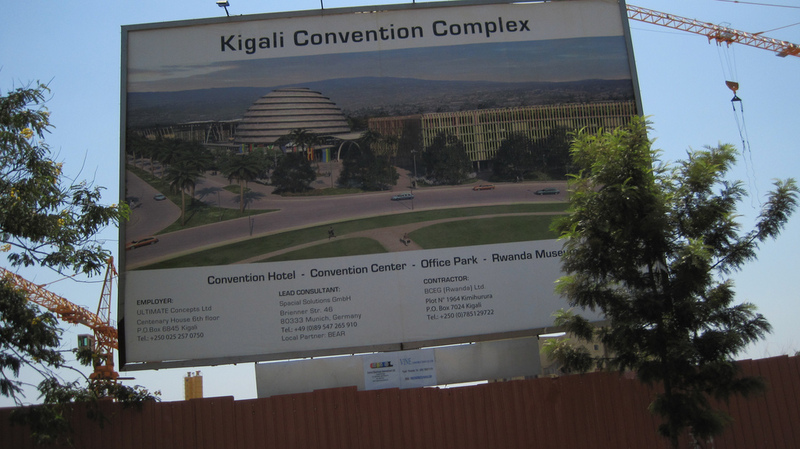 The convention center is the center piece of the complex. 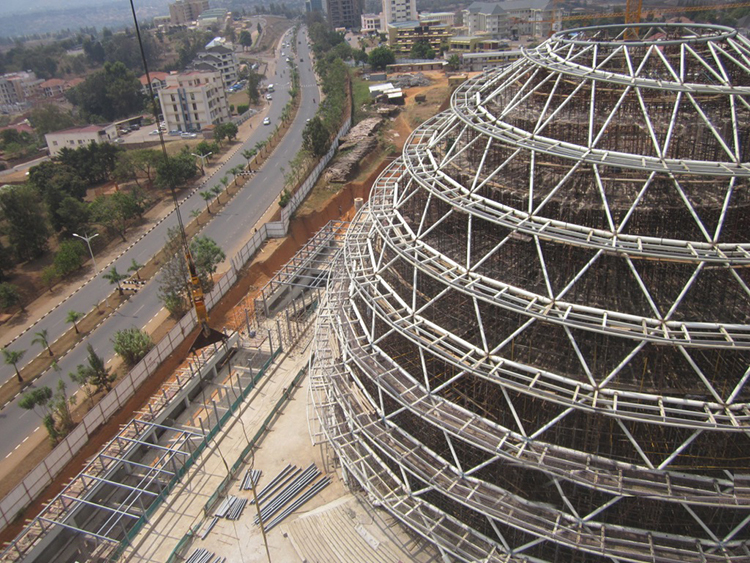 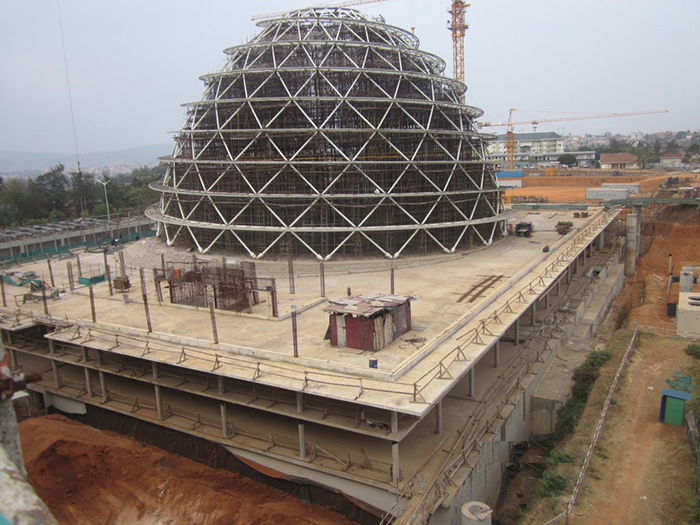 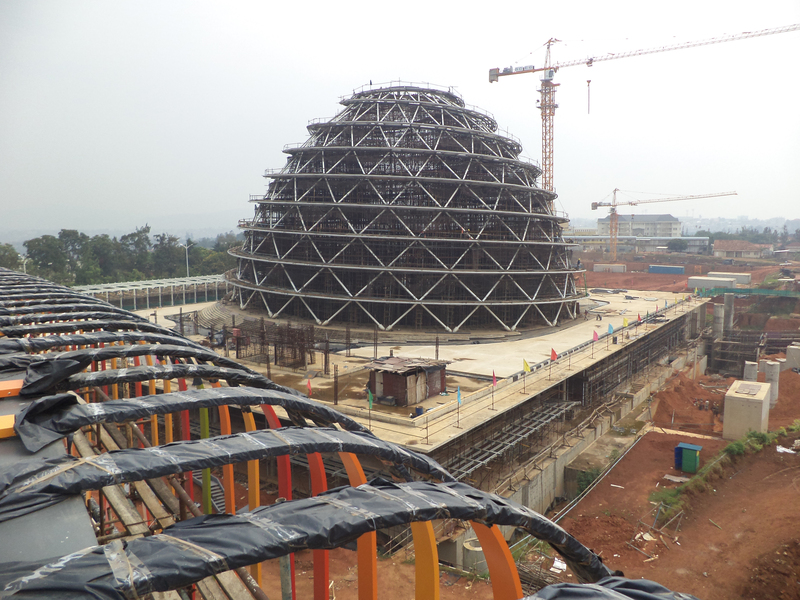 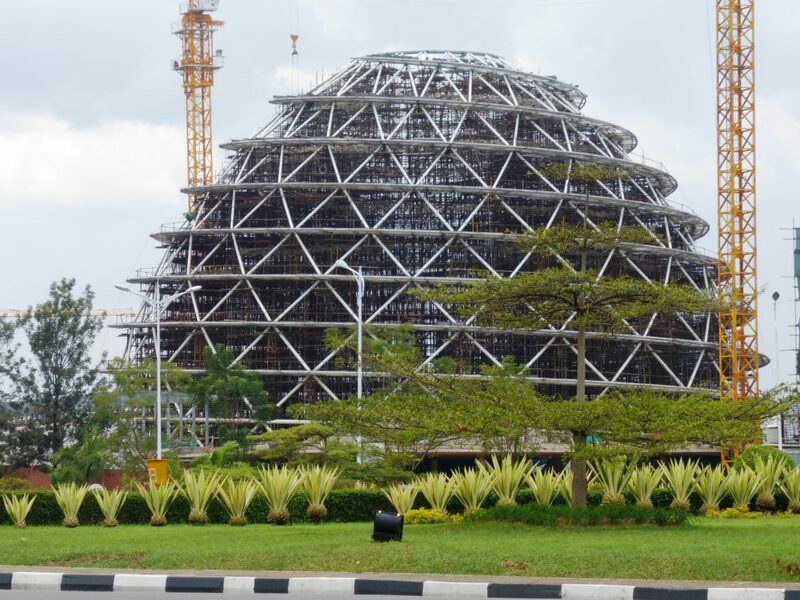 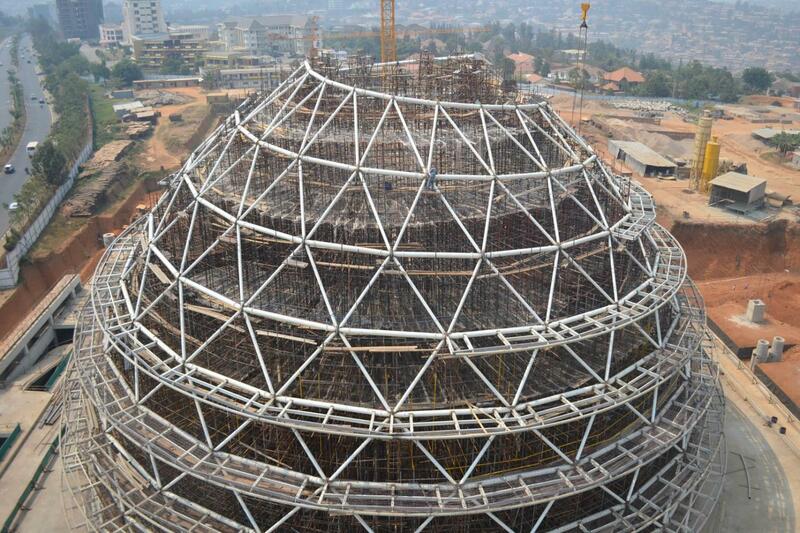 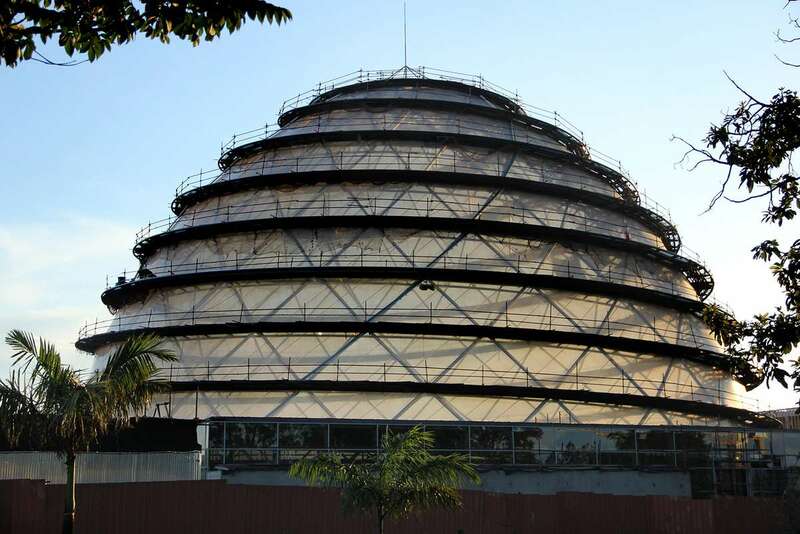 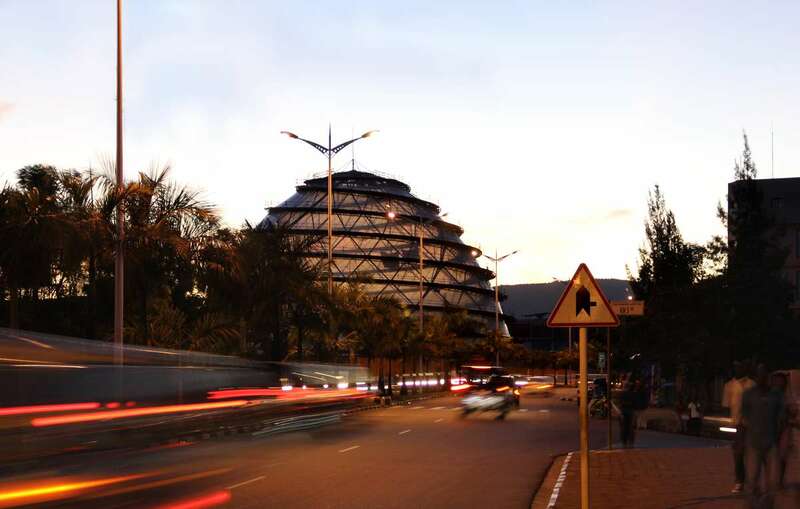 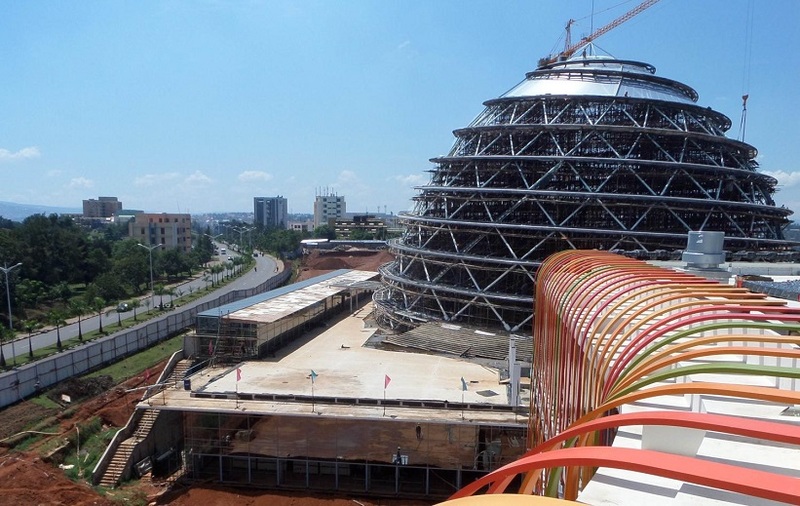 Its peculiar steel dome or cupola stands at 40m high, and features an ascending, support-less and yet walkable spiral shape or helix that has its roots in the forms and structures of traditional rural Rwandan settlements, a highly visible symbol of the identity of a politically and economically developing country. 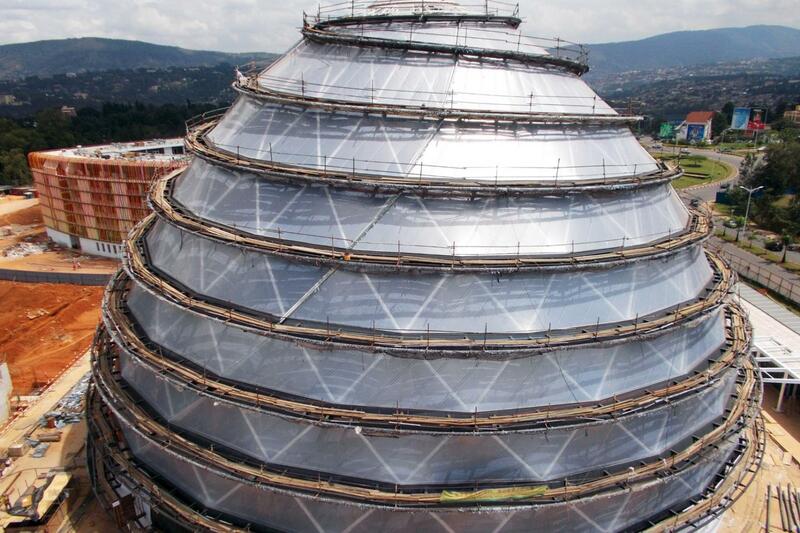 Aside from its aesthetic appeal and contextual character , the dome also offers a cost effective option in terms of finance and material consumption. 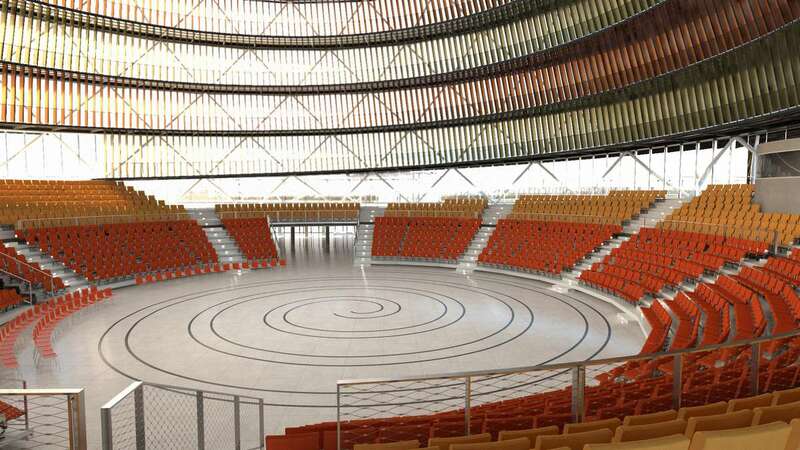 It also serves as the roof for the underlying assembly room/multi-purpose event hall admitting natural light into the space from above. 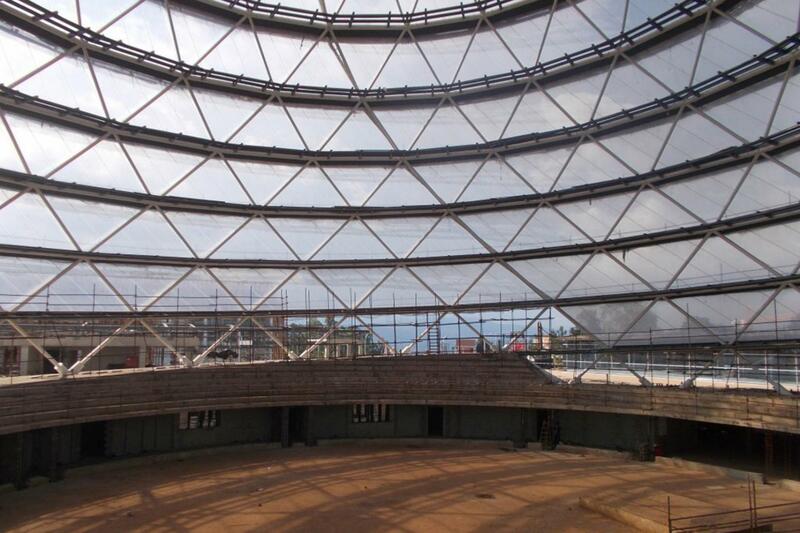 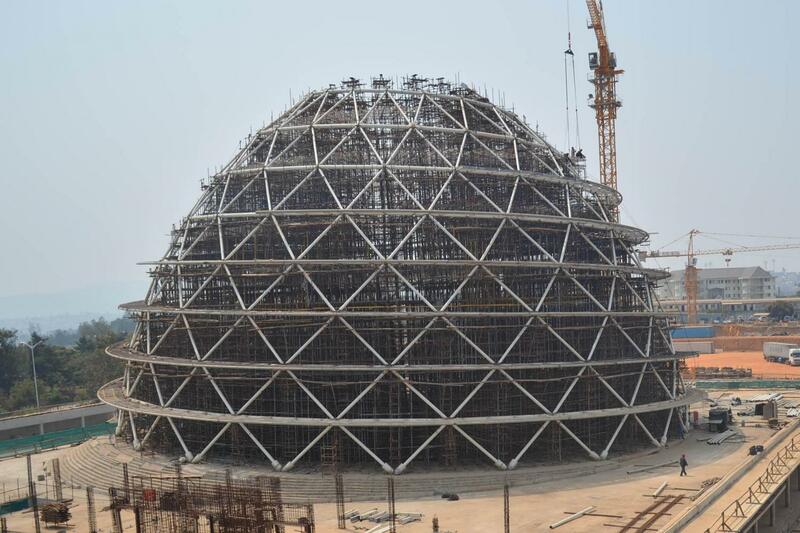 The exterior of the dome wears a glass skin, so to prevent the interior from overheating, a second layer on the inside of the dome was created using lamellae. 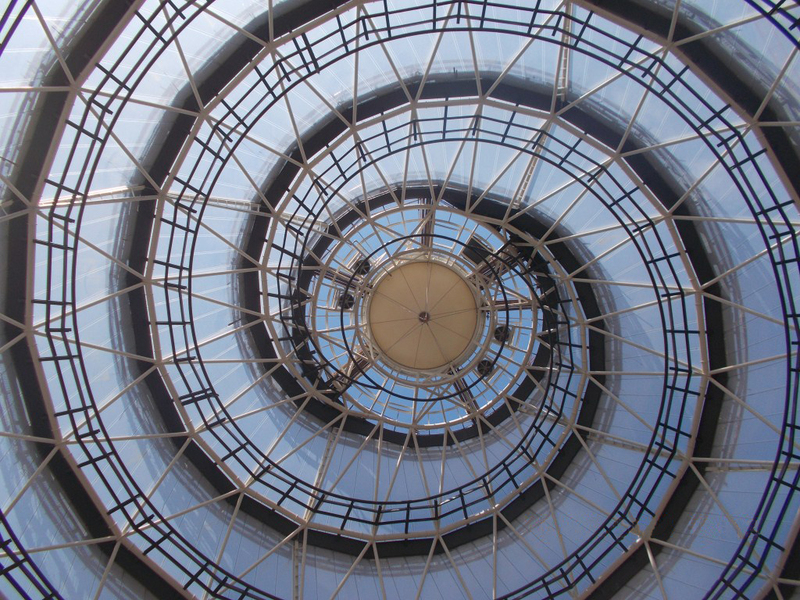 This creates an interesting aesthetic of seemingly scattered light on the interior of the dome. 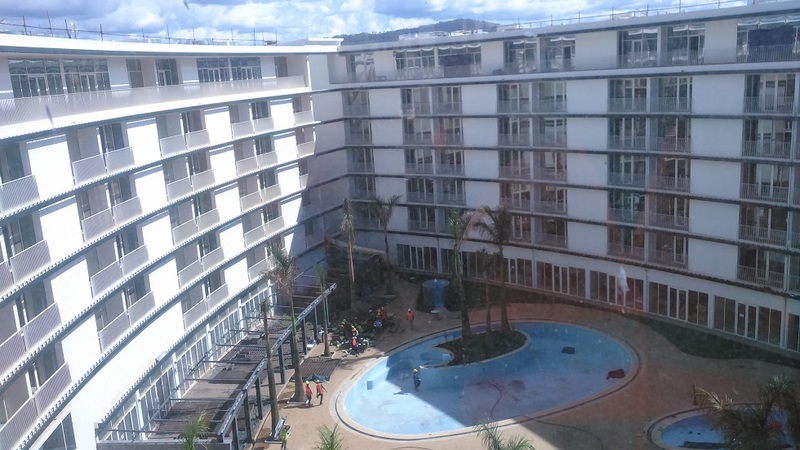 The Convention Hotel has a square-shaped, distorted layout with a generous inner courtyard. 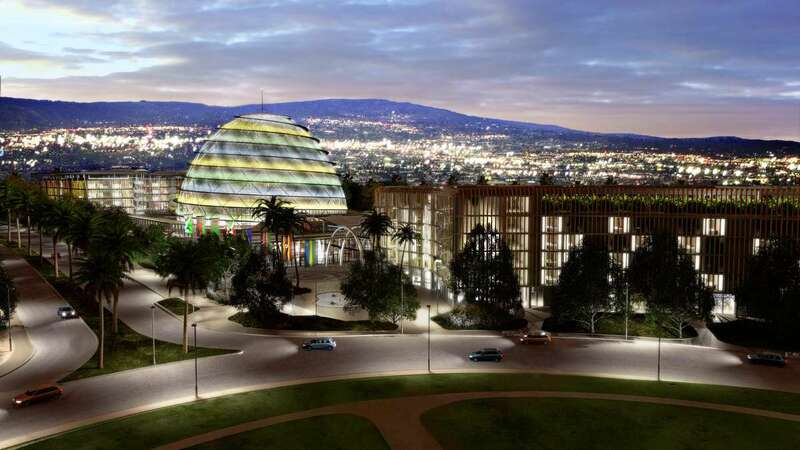 It is planned to provide space for plants and greenery, turning it into an oasis within the busy city for the hotel guests. 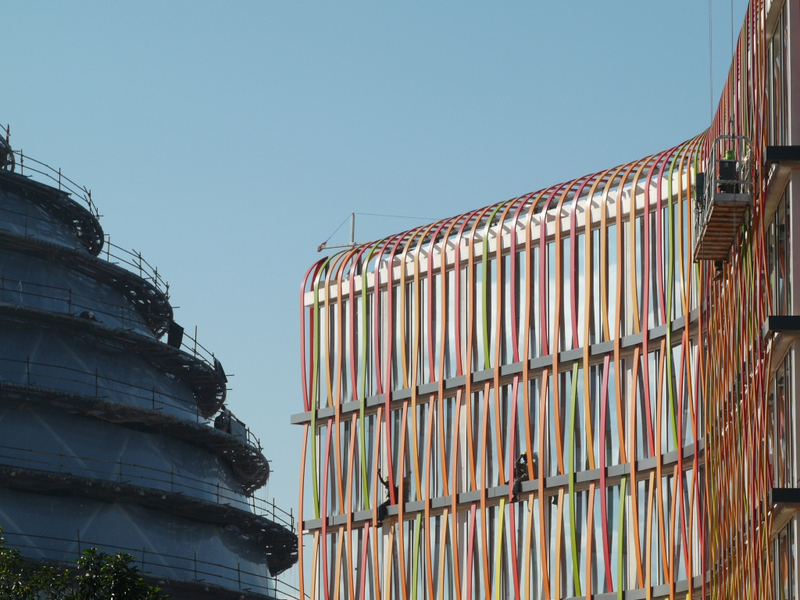 Its facade features colourful strips that also aid in shielding fenestration and offer and intriguing aesthetic. 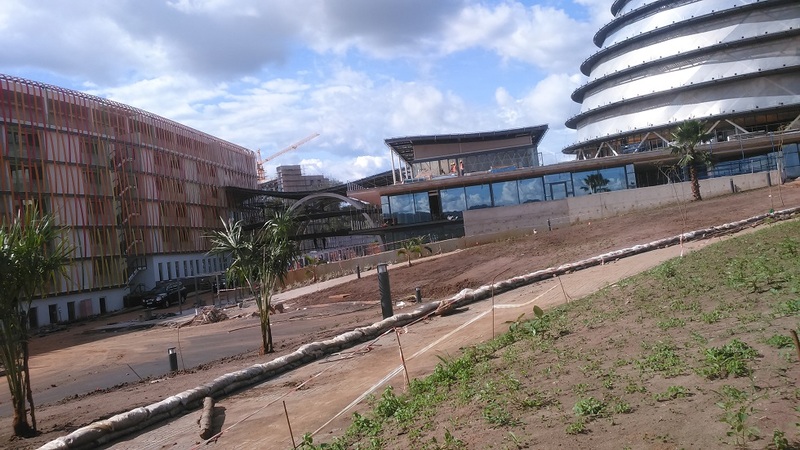 The courtyard’s horizontal green is continued in the facade.Apart from that, the green loggias are supposed to serve as a buffer zone, cooling down the air and thus creating a pleasant indoor climate. 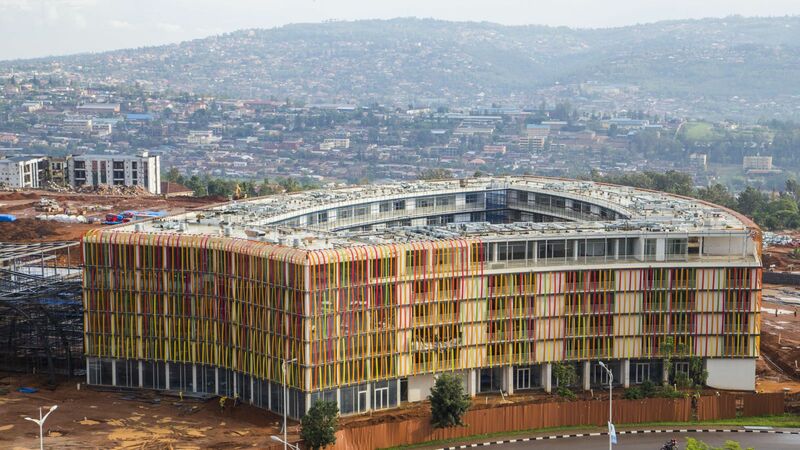 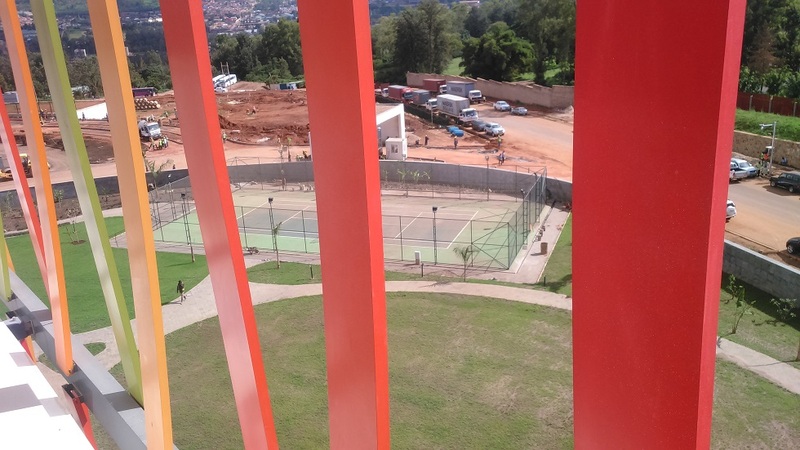 Kigali is located in one of the most active earthquake regions, which required detailed seismic calculations. 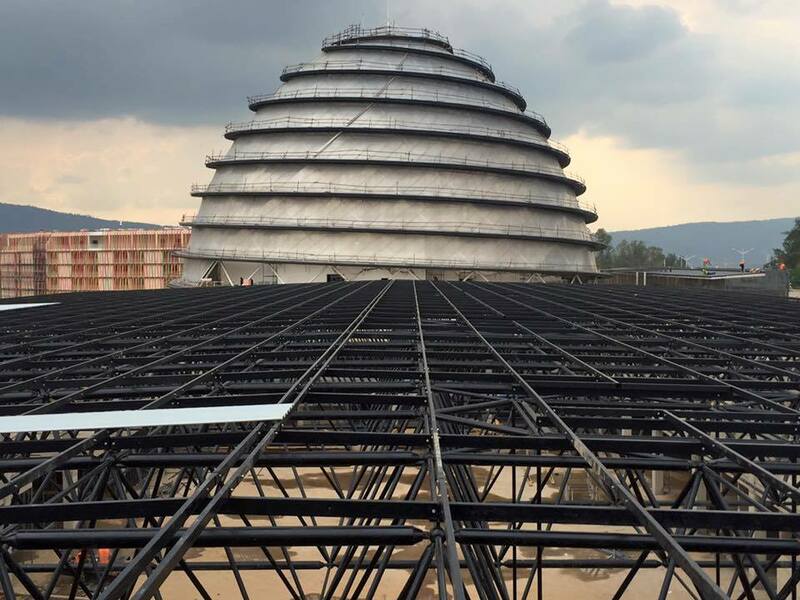 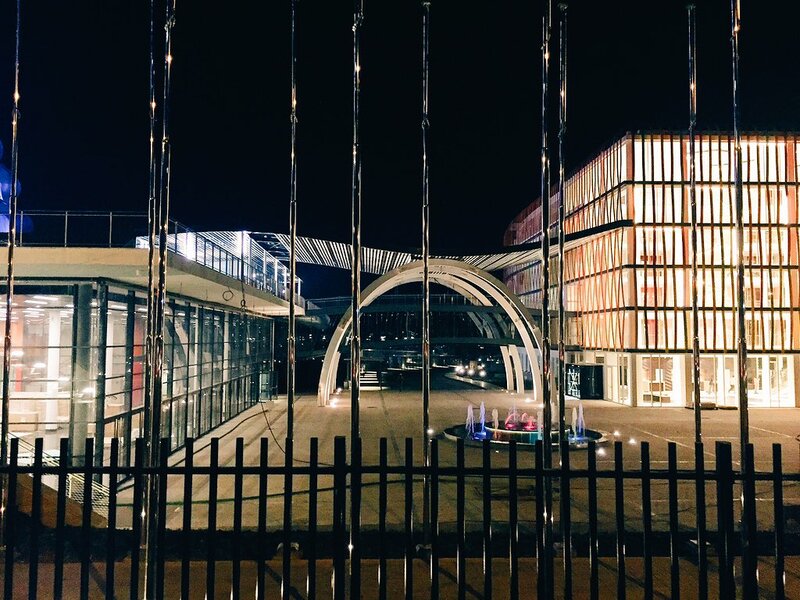 To this end, the steel structure is built as a welded triangular space frame, while the hotel and the office buildings have been designed as skeleton structure of reinforced concrete featuring high flexibility. 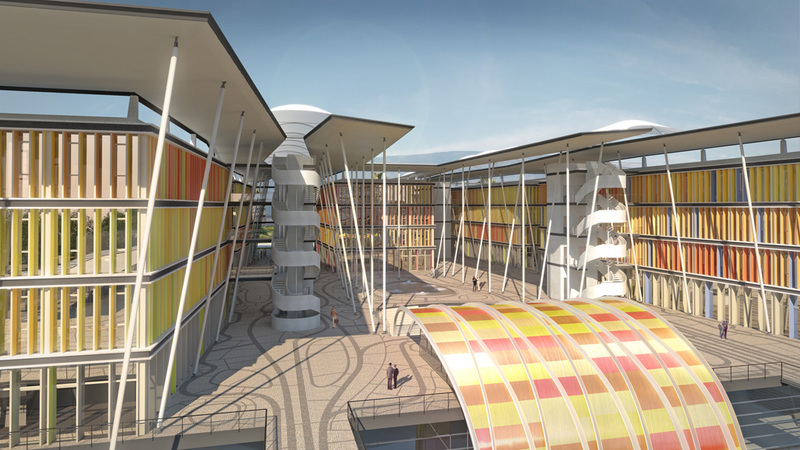 You can find out more detail about the project design here.